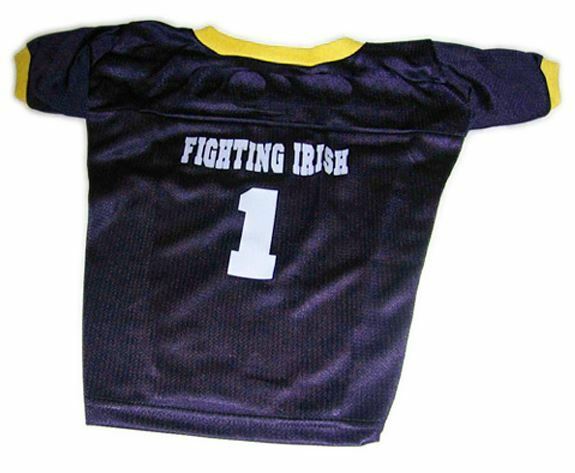 This Notre Dame Fighting Irish Dog Jersey will let your dog show his or her team spirit featuring the Notre Dame Colors. The jersey features screen print numbers and lettering on a 100 percent nylon mesh body jersey. The collar and cuffs are rib knit. Please note that the number shown on the jersey in this listing may differ based on what we receive from our manufacturer.